Whether you plan to put up a tent and spend a night or two under a star-filled sky or you come for a day of off-the-beaten-path exploring, Highlands Hammock State Park offers a window into the real Florida. One of the oldest and largest parks in the state, it’s home to thousand-year-old oak trees, Florida black bears and the rare Florida panther, too. Tread with stealth atop the elevated boardwalk through the old-growth hammock for the best shot at seeing animals, and tune your senses to a wilder side of the state. The Gulf of Mexico gets the bulk of the Florida sunset glory, but that makes it all the more special to bask in a breathtaking lakefront sunset in Sebring’s watery wonderlands. There are nearly 100 freshwater lakes in the area that turn golden with the setting sun. Relax with a cocktail at the Sunset Bar & Grille while catching the sunset over Lake Jackson, or linger late in the day while casting a line out on Lake Istokpoga, a largemouth bass-fishing paradise. There’s a waterfront sunset view at every angle in these parts. Quality arts and culture offerings in an intimate setting? Yes, the Sebring area has that, too. Head to nearby Avon Park to join the enthusiastic crowds of locals and visitors at this 1,460-seat theater—the largest stage in the area—to see touring Broadway shows, international ballet companies, pop and country music performers and world-class jazz. Park your car and stay awhile! Walking is a pleasure in the quaint historic downtowns of Sebring, Avon Park and Lake Placid. The circular historic district of Sebring earned the town its nickname, The City on the Circle, and all roads here lead to the town’s cute collection of boutiques, galleries, parks and eateries. Just off atmospheric Main Street in Avon Park, grab a fresh orange juice or ice cream at the country store, Maxwell Groves. In Lake Placid—the Caladium capital of the world—you can delve into the town’s history at the Depot Museum, housed within a 1926 railroad depot. Lake Placid is the home of Florida’s only estate-grown sugarcane distillery, Sugar Sand Distillery. Come for the bespoke rum, vodka, whiskey and moonshine or a non-alcoholic, fresh-squeezed sugarcane juice—all made from sugarcane harvested under the Florida sun. Zebras, wallabies and spotted llamas—oh, my! They all roam the wide Florida grasslands at LaLa Land, a fascinating private farm set on 50 acres. Kids gravitate to the potbelly pigs and miniature horses. You can scout for native Florida wildlife here, too, including red-shouldered hawks, pileated woodpeckers, white-tailed deer and Osceola turkeys. Visits are by appointment only and catered to individual interests. How’s that for exotic?  Discover even more reasons to visit Sebring, Florida.